As per annual tradition, Fringe fans have spent these early spring months wondering whether the show will get another season, with each notification of a Fringe-related news story that is not an official confirmation of renewal or cancellation causing them to shoot the messenger with spluttering rage, before gradually realizing that the messenger is just doing their job, then offering to buy them a beer as recompense for taking frustrations out on them. (Figuratively speaking, of course.) But while the network has still yet to announce its decision, star Lance Reddick has revealed to Zap2It that, fittingly, the show has prepared for either contingency with two versions of the fourth season finale that lead to two potential realities. 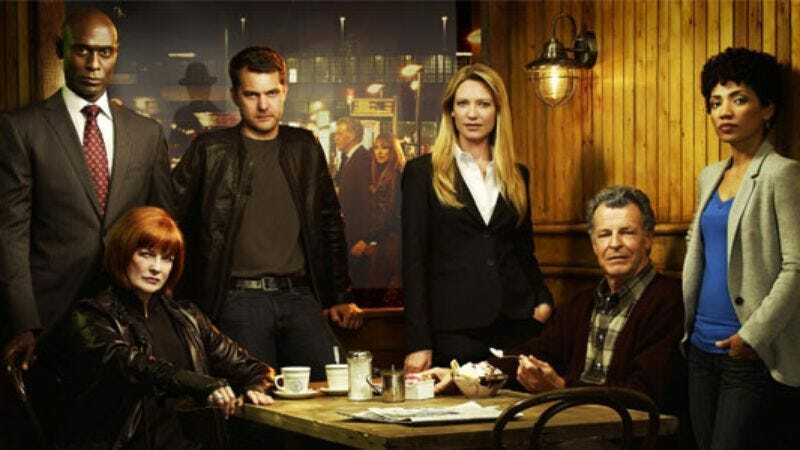 In one universe, Fringe gets picked up for a 13-episode final season, and the finale ends with a “crazy cliffhanger” scene that Reddick says “could open up an entire new season.” In the alternate universe, Fringe gets canceled, that scene gets cut, and the episode serves as a series finale that “seems to answer almost all the questions that started in Season 1… except for that one story” that won’t make it to air. Either way, Reddick echoes what co-stars Joshua Jackson and John Noble have previously said about the season ender providing closure, as well as leaving fans “satisfied” by where a lot of the characters’ relationships end up (which would certainly be new for the show). But of course, that’s assuming that Fringe fans will be satisfied by anything other than renewal, which we can assure Reddick they will not.